Gulf media tycoon Ahmed al-Jarallah today lays into the Muslim Brotherhood for risking turning Egypt into another Afghanistan. Menshawy says the overwhelming majority of people contacted by Shorouk thought the group’s first delegation visit to the U.S. last week was a triumph. The four delegates – Abdelmawgoud al-Derdary, Hussein and Khaled al-Kazzaz, and Ms Sondos Asem (a 24-year-old graduate student at the American University in Cairo) – are all members of the Brotherhood’s political arm, the Freedom and Justice Party (FJP). The FJP representatives, according to Menshawy, were not only fluent in English and familiar with U.S. culture, “but they surpassed themselves” in wooing their interlocutors. They held meetings at Georgetown University, the Council on Foreign Relations, the Carnegie Endowment and the Brookings Institution, as well as with Pulitzer-prize-winning journalists and low-level White House, State Department and National Security Agency staff. Jarallah, however, is more impressed by three proven Egyptian “statesmen like Omar Suleiman, Amr Moussa and Ahmed Shafiq,” who have chosen to run for president next month’s in the hope of stopping Egypt’s slide from liberalism to extremism. Suleiman was intelligence overlord during the Mubarak era, a position he held from 1993 to 2011. Moussa served as foreign minister from 1991 to 2001. 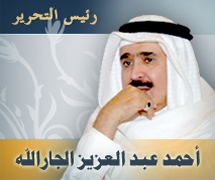 He was then removed from his post by Mubarak and made Arab League secretary-general, a position he held until 2011. A former commander of the Egyptian Air Force, diplomat and politician, Shafiq served for 33 days as prime minister in the final stretch of Mubarak’s rule. One of them – hopefully Omar Suleiman, Jarallah suggests circuitously – can save Egypt from turning into “worse than Afghanistan now that pseudo-Islamist forces seek to monopolize power on the the strength if their dubious parliamentary majority. In his column today for the same newspaper, Adeeb intimates his expectations. “It’s time to meditate on the likely, but momentous, regime changes around the world. “Some 58 presidential and legislative elections are on the cards between January and December this year. They could produce unexpected results or swings globally. The most important of these ballots will take place in the United States, France, Egypt, Yemen, Libya and some European Union, Asian and African countries. “The sudden incapacitation of this or that ruler, but this is in the hands of the Almighty. “Internal parliamentary or constitutional crises that could lead to a collapse of otherwise stable governments or political coalitions. “Revolutions or military coups, most probably in the Arab world and Black Africa as happened recently in Mali. “Experts dubbed 2012 as the year shaping a new world map. “Look to 2013,” they say. In 2013, Washington and Moscow will define their bilateral relations; Beijing will chart its economic outlook; France and Germany will sketch out their headship of unified Europe. “The year 2013 is when the world will assess the Arab Spring’s untainted outcome and when (Israeli Prime Minister Binyamin) Netanyahu’s internal state of slumber and peace of mind will come to an end. “The year 2013 will determine the exact course of Iran’s nuclear program -- whether the program is meant to be a potent weapon or a source of energy and an instrument of deterrence and political bargaining. 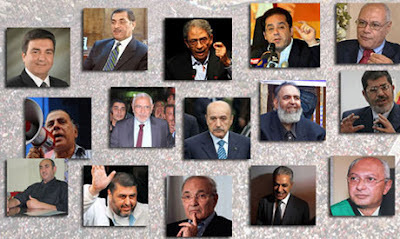 “The year 2013 will show who is ruling Egypt – the army by remote political control or the turbaned (Islamists).